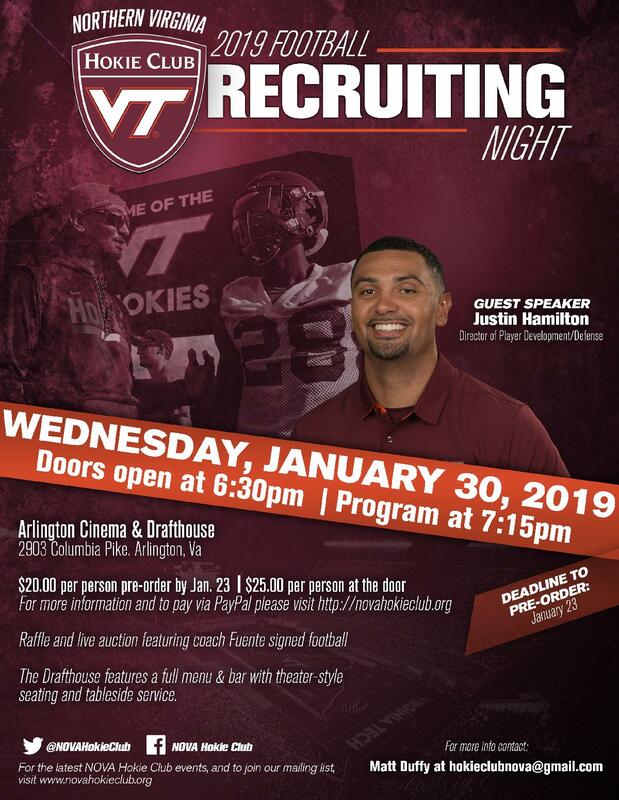 The NOVA Hokie Club will hold their annual Football Recruit Night on Wednesday, January 30, 2019. Guest speaker will be Homer Wiggans, VT Safeties Coach. Doors will open at 6:30pm and the program will start at 7:15pm. Cost is $20.00 if pre-ordered or $25.00 at the door. Kids under the age of 18 are admitted for FREE, but must be accompanied by parent.